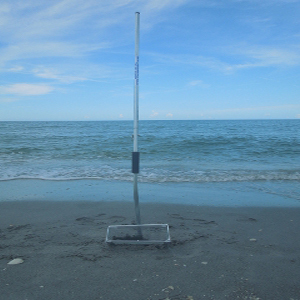 Finally, a rake designed to help you find ocean treasures like sharks teeth, seashells, sea glass, etc. Featuring a 12″ wide basket constructed of 1/4″ wire mesh, 48″ powder coated split handle for easier shipping and portability, an adjustable foam grip and a large sifting area. 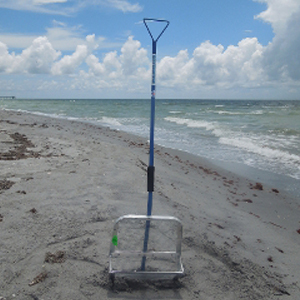 Finally, a rake designed to help you find ocean treasures like sharks teeth, seashells, sea glass, etc. 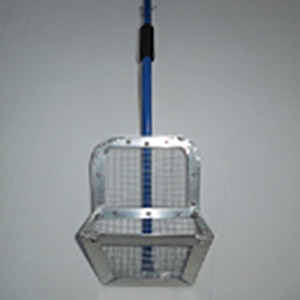 Featuring a 12″ wide basket constructed of 1/4″ wire mesh, 48″ powder coated split handle for easier shipping and portability, an adjustable foam grip and a large sifting area. Insert one end into the other, attach pin and you are ready to go! Simply scoop, shake out excess material and flip onto the sifting screen. No more digging through a small basket to find your treasures! 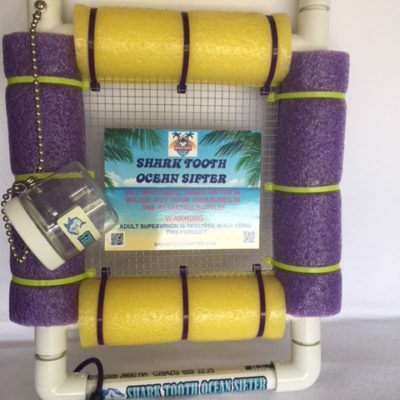 The Shark Tooth Sifter is made to last! Assembly is easy! The same quality and features as our one-piece sifter.